Joplin, Mo. 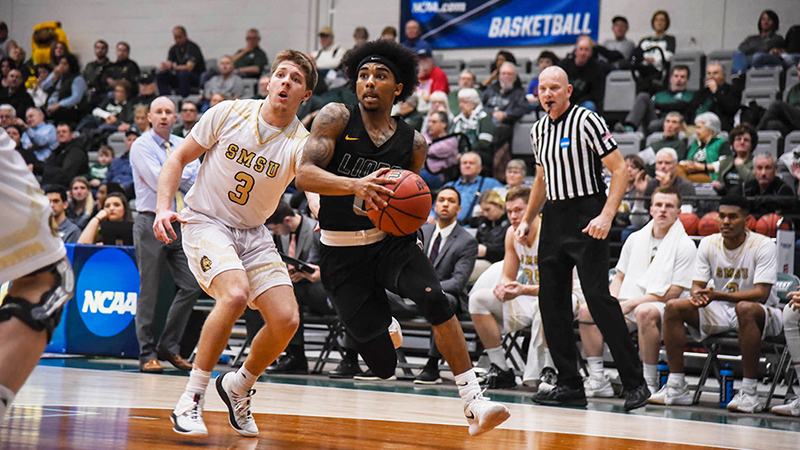 — Missouri Southern senior point guard CJ Carr has been named a first-team All-Region pick by the Division II Conference Commissioner’s Association, the organization announced today. The teams are voted on by members of the College Sports Information Directors of America in the region consisting of teams from the MIAA, the Great American Conference and the Northern Sun. Carr’s name now goes on the ballot for All-American consideration. This season, Carr led the MIAA in steals and assists, while ranking fifth in scoring and second in minutes. He also ranks 17th nationally in steals and 19th in assists per game. Carr averaged 18.4 points, 4.4 rebounds 2.2 steals and 6.0 assists per game. A two-time All-MIAA player, Carr finished his career with 1,111 points and moves up the all-time scoring ladder in MSSU history into 14th place. His point total is the third-most points scored in MSSU history by a two-year player (Taevaunn Prince, 1,303 – Marvin Townsend, 1,167). Carr is one of two MIAA players on the first team (Justin Pitts, Northwest Missouri), while Nebraska-Kearney’s Trey Lansman and Washburn’s Brady Skeens were named second-team All-Region picks.